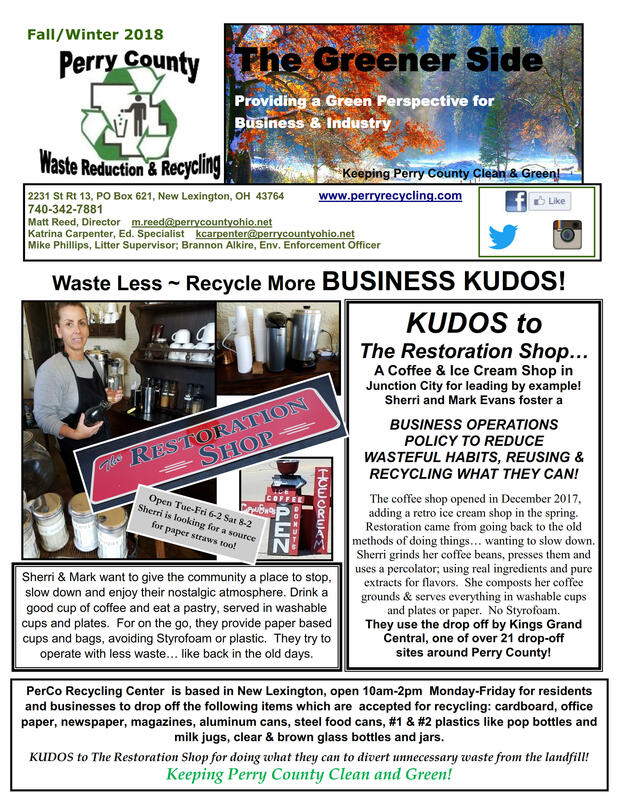 Waste Less - Recycle More BUSINESS KUDOS! 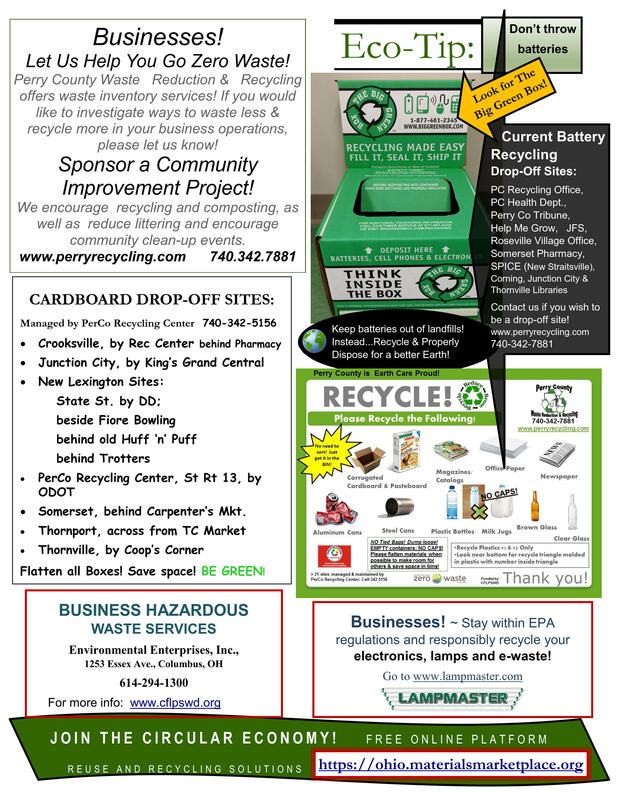 by the Perry County Ohio Waste Reduction and Recycling - New Lexington, Ohio. Click HERE to view/download the 2 page PDF. Click on each page below to view full size.